The Holidays can be tough on a lot of people. This time of year can trigger past traumas for some and create a sense of overwhelm and frustration for others. Whether you associate the Holidays with painful experiences, have recently lost a loved one, or are a highly sensitive, empathic person, this list of tools can help you find joy, magic, and maybe even some peace this Holiday season! 1. Be OPEN and WILLING to have a NEW experience this year. Every shift begins within. This one is no different. In order to have a different experience, you have to be willing and open to it. So take some time to release the past and open your mind, heart, and soul up to the idea of something new this season. 2. Consciously Set Your Mindset. Now that you're open and willing, start to consider what your intention for this Holiday will be. What do you want to feel or experience? Setting your mindset is a way to train your brain to purposefully seek out, notice, and create a certain type of experience. It's sort of like when you do a gratitude list and then you start to notice all the things you have to be grateful for. 3. Honor Loved Ones in the Afterlife in Ways That Feel Good. Your loved ones are always with you, and they LOVE to come watch over us during the Holidays to see us carry out old traditions and create new ones. It can be hard getting back in the holiday spirit after grieving. Your loved ones truly enjoy when you incorporate them into your celebrations. Some fun ways to do that can be setting up a chair at the table for them, cooking or eating their favorite food, playing their favorite music, doing something that they would have loved. It's also a way to connect with them and let them know that they can come visit and leave you signs. 4. Live Like it's the Last Holiday Season You'll Have Where You Are, With the People Around You. Life is constantly changing, and yet so many people fall into routines around the Holidays. What if it was the last year that things would be this way for you? What if there are big changes coming? We aren't guaranteed time, and neither are our loved ones. And who knows who could move, get married, have children, etc. Try to be present and enjoy the circumstances you have this year. 5. Give. Good Deeds, Volunteer, Spread Kindness. Giving is the number one way to create magical, joyful energy. You can volunteer or do a good deed for someone. Maybe invite someone over who you know is alone this Holiday. If you don't have the time, you can still spread kindness and positivity and give back that way. Winter is a time of the year where the dark nights are longer and naturally we all feel a calling to retreat, go within, and be quiet. It's also a time when society tells us to prioritize socializing and celebrating. Finding the balance between these polarities can be a challenge, but it is possible. Make sure you schedule your self care time as deliberately as you schedule your socializing time. And during weeks where you have a lot on your plate, schedule in some recovery time to restore yourself. Also, set healthy boundaries for yourself. Limit the time and energy you give toxic experiences. If you do need to go out and about with challenging people, try visualizing yourself wrapped in a bubble of light, ask your Angels and Spirit to clear you of any and all energy that's not yours, sage yourself, use essential oils and/or crystals. You deserve to feel good and clear. 7. Share Your Needs and Desires. I hope these tips help make a positive difference for you! They sure have transformed my Holiday experiences, and have helped many of my clients. Please know that you are loved and appreciated. If you need any extra support, I am currently booking one on one and group sessions, so don't hesitate to reach out! Happy Holidays and Lots of LOVE to YOU!!!!!!!! Routines are powerful ways to take care of ourselves, to maintain our energy, and therefore take care of those around us. I find that sometimes us intuitive, sensitive people flee from routines, fearing they will make us feel too restricted or tied down. What I’ve found in my own life however, is that routines, especially when they can be adaptable for travel, create more freedom and actually serve to build and restore energy in profound ways. I recommend all intuitive and sensitive people implement at least a few self care routines into their daily lives. I recently shared my evening routines for clearing and restoring my energy, so I wanted to share my morning routine that helps set my days up for success. Even if you take just a couple things that resonate out of this, implementing them will make a huge difference for you! I set my alarm about 20 minutes early. That waking dream state of just waking up is actually super powerful for accessing your intuition, subconscious, and for manifesting. I began setting my alarm early and using that time to do this sort of work. During this 20 minutes, I call in all of my Angels and Guides, I give them permission to intervene on behalf of my best good throughout my upcoming day. I reflect on any dreams or visions I’ve had through the evening- I write down things that may need to be shared, and I ask my Angels and Guides to further clear any kind of processing I may have done. Like many, my dreams are divided into psychic visions as well as the processing of different experiences I’ve been through, surfacing of hopes and fears, etc. So reflecting allows me to tell the difference of what’s my intuition and what’s my mind. I then go through what I need to get done that day, and what I need my Heaven Team to take care of. Your Heaven Team, as I call it, is a combination of your loved ones, guides, and Angels. They are always there, but need your permission to help. Putting them in charge of the big stuff has changed everything for me. It allows me to take charge of what’s in my power to do, and not be frozen in anxiety over things I cannot control. Next, I move onto visualizing. For finances, I visualize my Angels, the Fairies, and my loved ones, placing money into my energy field, into my pockets, my purse, stuffing cash under me, under my pillow, letting it rain down over me, and being open to receive it fully. I do this for several minutes, really feeling myself absorbing this money from Spirit. Feeling how it feels to be totally supported and taken care of. Then, I visualize myself as my ideal self, living the life I’m currently working on creating. I notice what I’m wearing, how I’m acting, what I’m doing, whose around me. Everything. It’s usually different, and I notice as I practice this daily, it continues to evolve. I then visualize this part of myself laying directly above me, and being lowered down into me, merging with my current being. From that energy, I can then start to live into this part of myself each day. That is usually my last practice before my second alarm goes off and I get up. Once up, I try to get some movement in. I try to do about 10-15 minutes of yoga and qigong exercises, just to get my energy flowing. I also meditate on building an energetic bubble around myself, radiating out. It can be white, pink, blue, violet. This shield serves more as a filter, filtering out negative energy, only allowing good energy in, and also helping to maintain your clarity and energy throughout the day. Then I move onto getting ready. While getting ready, I usually have affirmations either on post it’s or notecards that I go over while I’m doing my hair and make up. Using your time in front of the mirror for positive self talk is incredibly healing! If you want to dive deeper into mirror work, I highly recommend You Can Heal Your Life by Louise Hay. Perfumes give me migraines, so I use essential oils instead. Citrus scents give an extra boost of energy, and also help relieve depression and anxiety. Before coffee, I make sure to drink a large glass of lemon water, take my probiotic, and I also take Apple Cider Vinegar in the mornings as well. Then I will enjoy my coffee, and get started on my day. I’ve been doing a lot more meal prepping lately, and it really is helping me stick to healthy habits, so I highly recommend that if you’re not home and able to cook throughout the day. Last, but not least, when I do readings it’s vital that my vibration be high so I can channel Spirit easily. I have a happy playlist that I listen to either before calls or on my way to meet people. Not only does it raise my vibration, it just makes me feel super happy and energized, ready for whatever the day has in store. As a psychic medium, spiritual counselor, empath, and entrepreneur that works about 60 hour weeks, you can imagine my energy might get drained from time to time. It is absolutely vital that I follow a routine at the end of my day in order to clear and restore my energy, so I can get a good night’s sleep and wake up to do it all again! 1. I didn’t say goodbye. 3. I didn’t say how I felt. 4. I didn’t take enough photos, collect enough memories, or spend enough time with (loved ones). 5. I did what I thought I should, and lost sight of myself. Allow me to start this post off by saying I love random A-Ha moments! I feel when we are present throughout our days, we can learn from all of our encounters- especially the more frustrating ones! I want to share a story with you of my most recent, random, A-Ha moment and how this small, seemingly meaningless moment changed how I look at every obstacle in my life. Did you know that anxiety affects around 40 million people in the United States alone, and of that number, only about a third get treatment? I knew it was common, but wow, that’s a lot of people struggling! I have dealt with anxiety on and off for the majority of my life, mostly due to my ability to feel and connect with Spirit. Acceptance creates the space for change to occur. I struggled with this concept for a long time. To me, acceptance felt like failure. I’ve always been a fighter, pushing to do everything early, to accomplish more, to be better than I used to be. So accepting where I was felt like giving up. What I’ve learned on my spiritual path of healing is actually that acceptance is quite the opposite of giving up. This blog post was completely channeled by some Soul’s that I have helped cross over through the years, and some Soul’s that I just recently came upon and have been trying to help understand and find peace. Thank you for taking the time to read their words. I ask that you learn from their regrets. Have you ever noticed the cycles of relationships? Engagements happen in cycles, pregnancies, weddings, break ups. Maybe it’s astrological, maybe it’s energetic, all I know for sure is that a lot of us go through this stuff together, and there have been a lot of endings lately. One of the most common topics people want to consult with me on is what is it like on the other side? Does it really exist? Is it peaceful? Do we get to reunite with our loved ones, or do we reincarnate right away? Is there a Heaven and a Hell? Are there gates we go through? The questions are endless, and they’re all pretty similar despite religious beliefs or cultural backgrounds. 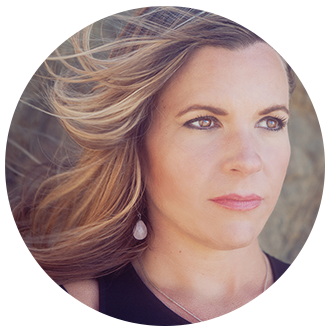 Sarah Renee is an international psychic medium, spiritual transformation coach, Minister, teacher, and best selling author. Sign up for free weekly energy updates! By requesting a reading and/or scheduling an appointment with Sarah Renee, you understand and agree that Sarah Renee is not a medical professional, attorney, accountant or other licensed professional, and can not give medical, legal, or tax advice. Any information or advice given by Sarah Renee is not to be used by you in place of any medical, legal, tax or financial advice or diagnosis from qualified and licensed professionals in those fields. Readings by Sarah Renee are intended to offer insight into your personal life and do not in any way constitute medical, legal, tax or financial advice. Sarah Renee will not be held liable for any damages resulting from the use of this website or as a result of any reading or appointment with Sarah Renee, or any persons or events related thereto, and/or any actions or decisions that you may make as a result, including without limitation, actual, incidental and/or consequential damages resulting from any claims resulting from any act or omission, negligence, fraudulent misrepresentation or otherwise, including without limitation, personal injury, death, loss of income, stress (emotional or otherwise), errors or omissions, or otherwise. Website Designed by Paper Scraps | Photography by "Kim Bajorek Photography"